Hat blocks. 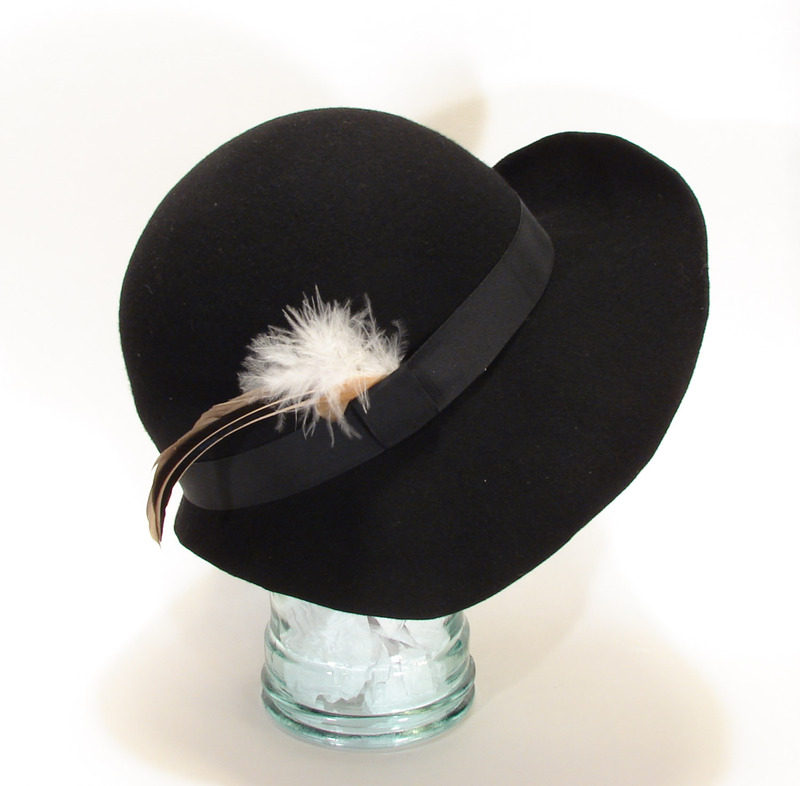 A vital part of millinery. However, in Canada there are no makers of blocks so overseas is the only option. They are also very expensive. Most often in wood and made with either specialized equipment or hand carved, it makes for an expensive and heavy investment into a single shape and size. This is the Cadillac of hat blocks I think. 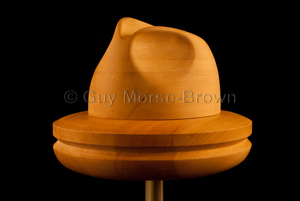 Guy Morse Brown Hat Blocks. Hand carved and priced accordingly. Gorgeous and worth it. 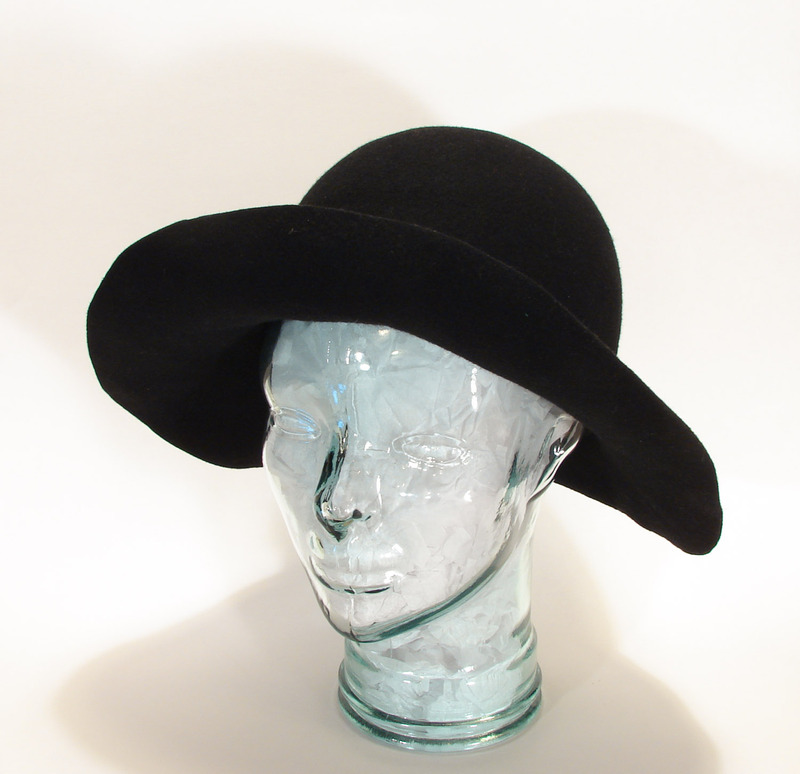 Several years ago I found a heavy plastic block company out of the USA that was designed for felters to make hats. Since I had been in theatre props for several years moons ago I knew I could potentially alter the plastic blocks to work for me. I ordered them and went to work. 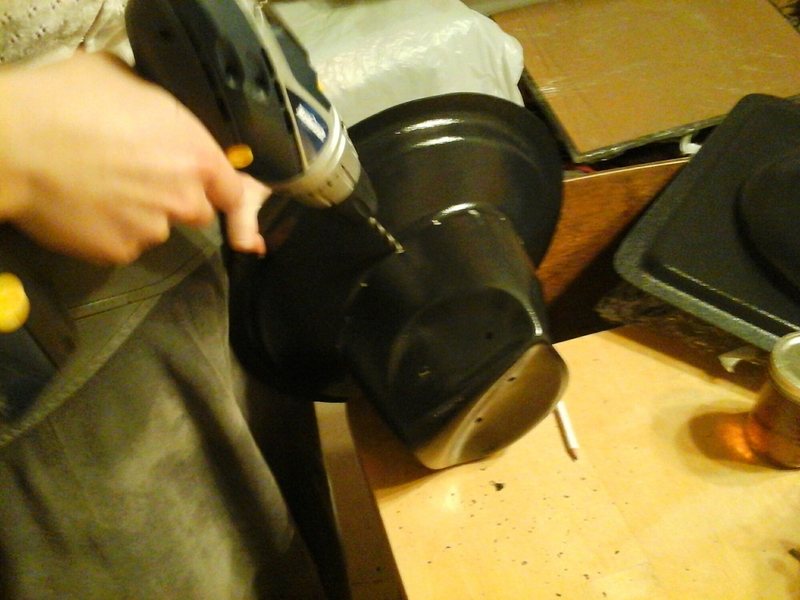 This is Sara drilling into the headsize line to create pinning holes. The company was rather alarmed at the drilling and cutting and couldn’t approve of what we did but many hats later they have held up! 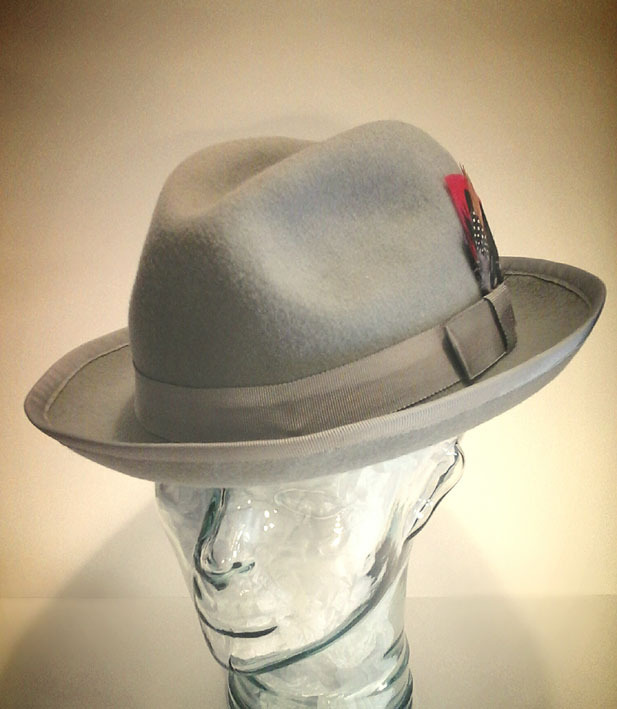 This lovely wool fedora was made on the modified plastic block. As many of you know Sara has been with the studio for several years now and her skills have increased so much that she is always looking for a new challenge. She had already been thinking about carving a block out of of styrofoam when a customer came in for a 1920s reproduction. I knew I could make it without a brim block but when I started I realized it was going to be much more difficult and frustrating than I thought. Sara dove in to make a block for the brim. The final result was exactly like the picture the customer wanted and Sara went about solving problems that arose with using spray foam. This custom hat made from our first carved block was a success! I scoured my brain for sculpture information from my ancient art degree and remembered that you can use high density insulation styrofoam glued together in layers to carve into a shape. She is continuing to make this block and learn carving and creating solutions to problems that pop up. We will let you know what happens next as the block is nearly finished which means we can make a hat! 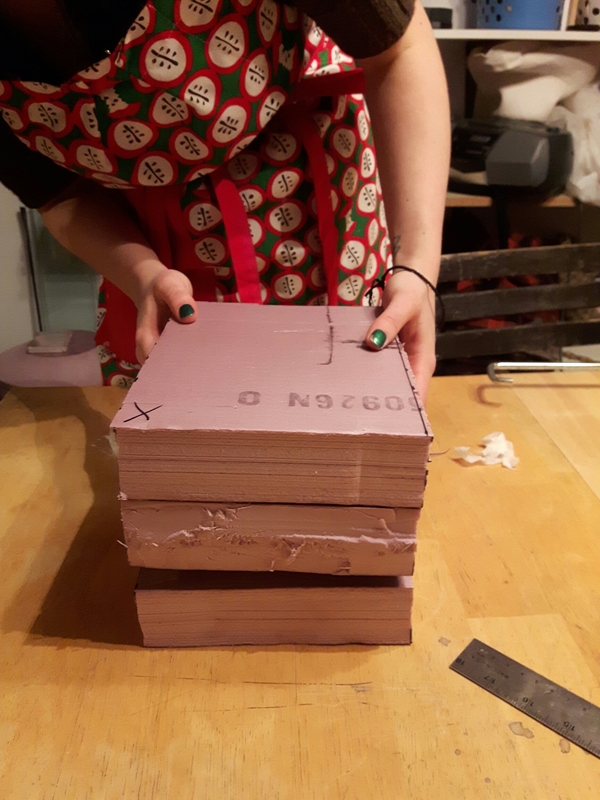 Posted in Card Catalogue, In The Shop, making and tagged Art Studios, Canadian Fashion, carving, creativity, Handmade, handmade fashion, Hat blocks, Hats, making, Millinery. Bookmark the permalink.